I guess I would prefer a big crowd of fans who pad a variety of ticket prices to be there rather than a near empty stadium with fans who paid a premium to be there. Better for the Program too, IMO. I think the team would too. Well said GB. 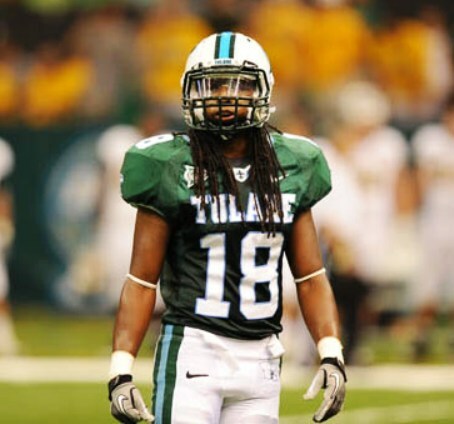 By the way, the silence from Tulane equipment regarding the homecoming uniforms has been noticeable. We've had a video of the uniform of the week on Thursday pretty much every week, or at very least some cryptic message about what we'll be wearing. I'm wondering whether they're just really busy with basketball getting started, or whether they're keeping something really unusual under wraps. The spread is down to 11.5 today so the pros must be reading this site and their history books. If it hits single digits, the author might want to retitle this spread. BTW I do think Tulane will win and break the HC jinx but I have no guess as to how much. I expect ECU to play hard and not be in the rollover business. Breaking out Roller's olive fantasy? I agree. However the "big crowd" is far a from a given. Aside from a "big crowd" for the '96 Rice game attempts at lowering the ticket price to get a big crowd, when we aren't winning, have been wholly unsuccessful. So we end with a less mediocre crowd that generated less income. Remember crowds are downstream from winning. We aren't choosing between a near empty stadium and a big crowd. I wish you premise was true but at this point it isn't. but we are winning. We're currently on a two game winning streak against notable opponents. Plus the fact its Homecoming a game/time of year that sees many more fans and alumni on campus. So do everything you can to get as many of those people into the game. More is better than less. We need more fans in the seats. Whether that equates to a “big crowd” or not. An extra 2,000 people is better than not having those 2,000 people. Including in total dollars collected. We are 4-5. My heart agrees with you, but my head thinks about other times in the last 20+ years we were near .500 and there was little interest. point is that this game will have a lot of casual/lapsed fans on campus, who might be enticed by attractive ticket prices to attend the game. Rather than an opportunity to gouge the diehards I wish Tulane would, instead, see it as an opportunity to showcase an improving Program to the biggest audience possible. I think many of us are going to be surprised by the crowd. Whether it's bigger than we thought or smaller than we thought, I can't say. Hope this helps. UCF now has a hard sellout for its game with UC. This is based on just reading some fan boards so I would treat this as "soft." Not hard 3rd party journalist verified but it did not appear faked either. Regardless it simply shows one way how our peers use dynamic pricing for its home conference games. Again it can be spectacularly successful when there is sufficient demand like for Saturday's game in Orlando. Not so much though with less demand as shown in Yulman last week. Welcome to 21st century stadium event economics.